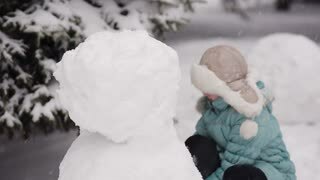 Little girl in winter park sculpts snowman. 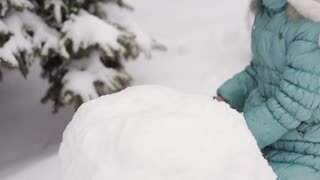 From the sky falling snow. 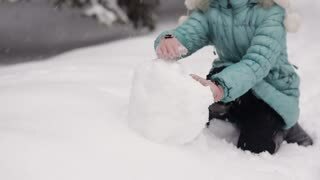 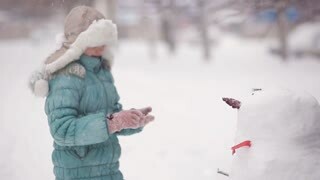 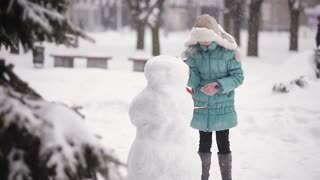 Girl sculpts a snowman in the snow in winter.